This library allows to generate low poly images. Glide Bitmap Pool is a memory management library for reusing the bitmap memory. RubberStamp is an Android library that makes it easy for you to add a watermark to your images. 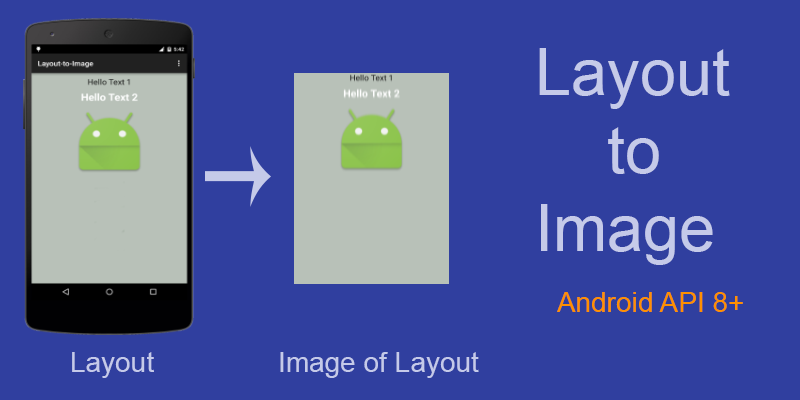 Android Layout (Relative Layout, Linear Layout etc) to Image. A simple view to allow drawing on top of any bitmap, which generates a final bitmap with the correct scaling and transformations applied to it, ensuring the output respects what is shown on the screen. SoBitmap is a bitmap decode library for Android. Developers can customize max size of memory, max memory size for output bitmap and picture size, then SoBitmap will do its best for producing the right bitmap. BitmapRegionDecoderCompat (BRDCompat) is the 'compat' version of the official BitmapRegionDecoder API. Text Watermark creator on bitmap at any position. AndroidBitmapTransform is an useful library to do Bitmap transformation on Android. Library to save image locally and shows options to open and share. ASCII Art Generator generates ASCII art bitmaps and text from any selected image on android phone. Changes the color of individual pixels in a Bitmap.